Entries closed for the fourth ever Crime Watch giveaway at 5pm last night, and I made the random draw this morning. 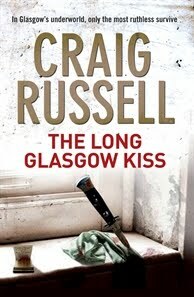 As I said when this competition was launched, the prize for the lucky winner is a brand new copy of Craig Russell's latest thriller, THE LONG GLASGOW KISS (the second in his Lennox series set in 1950s Glasgow), shipped to the winner wherever they are around the world. Congratulations to Carol. I hope you enjoy the book! To everyone else, thanks so much for entering. Keep your eyes peeled for more chances to win - the next competition will giveaway some more Kiwi crime/thriller titles.